Making real estate easy for everyone! To make real estate transactions easy and accessible to everyone. C Estates as a global industry standard for real estates transactions. C Estate’s backbone is Capitarise Corporation, a property management consulting company in real estate that established their expertise in pioneering cross-border transactions. They have an expansive Japanese clientele and pride themselves to being fast, efficient and professional in bridging foreign businessmen to invest in the Philippines. For more than 10 years, they have supervised and facilitated numerous local and foreign clients in acquiring real properties and condominium units in the Philippines. 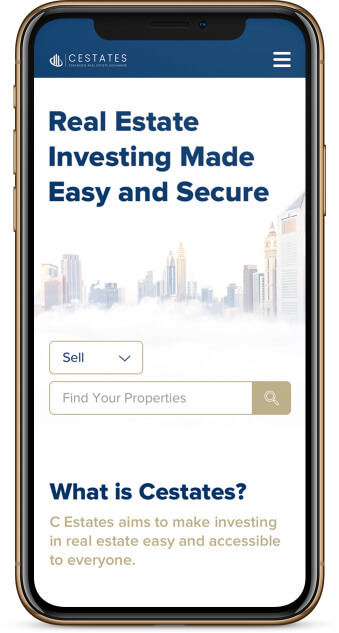 Capitarise Corporation developed C Estates, combining real estate with technology, to streamline the efficiency of doing real estate transactions. C Estates uses the process of tokenization, a series of computational logic that has long been used by financial institutions on monetary assets. The same logic with added advanced method is applied by C Estates in tokenizing properties. Data Security is our absolute priority which is why you have the assurance that all the sensitive information we hold, is safe, securely stored and protected on our platform. This way, the sharing, negotiating and data ownership of a common property can be quick and efficiently transferred, automatically computed and generates the value of the assets being transacted avoiding human errors on public records. Select a wide array of properties from different owners and contact them directly. Announce your property for rent or receive your rental fees with XCET coins. Showcase your property ready for bidding or for sale. Provides online marketing tools for landowners to showcase their undeveloped land to attract more audience and investors from the crypto world. List your property for sale in the marketplace once offline verification and validation has been completed. Provides online marketing tools for property owners who need to offer their time sharing properties in our marketplace. A new way of raising capital for businesses and a better way to easily access such ventures for investors. Property developers can use it to reach high net worth investors who wants to make an investment in real estate. 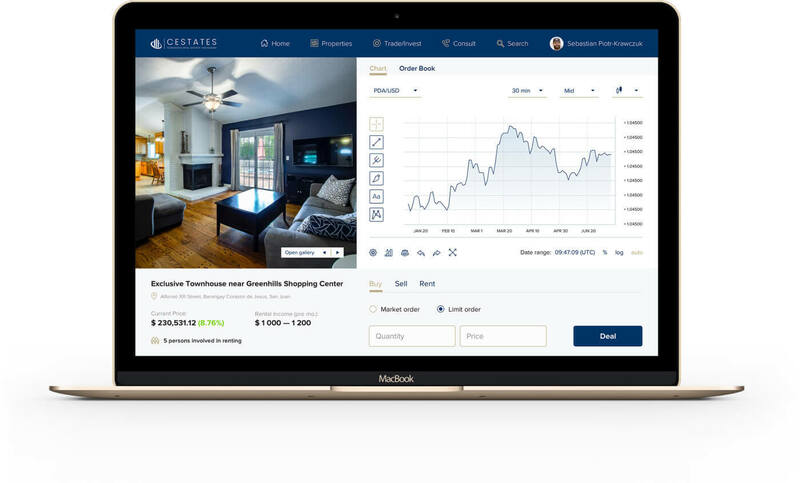 C Estates uses the New Economy Movement (NEM) blockchain technology to fulfill its mission and vision in providing a better way of doing Real Estate transactions and become an industry standard of the future. C Estates is a real estate company backed by its 10-yr experience in the business. It aims to create a global industry standard platform that uses the most robust technology that will revolutionize the way buyers, sellers and investors of real estate properties transact online. Anyone can use the C Estates platform for a more efficient, secure and faster cross-border online transactions. Why was NEM used instead of ETH or other blockchain to create your token/coin? NEM is a business and developer friendly blockchain platform. It offers cost-effective and less time consumption in developing a fully working business system. Additionally, it works through APIs which makes it easy for integration. What is your difference to other Real Estate platform that uses blockchain and crypto? C Estates is not a technology company, it is a real estate company. We are using our decades of real estate expertise and disruptive technology to offer the best customer experience and satisfaction in doing real estate transaction. How does C Estates ensure authenticity of property documents? C Estates has a due diligence team that scrutinizes all submitted documents to ensure authenticity. Is my information safe/who has access to it? Yes! You own your data and you have full control to whom you want to share it. Who decides the price of the properties? Transaction in the C Estates is peer-to-peer, both sellers and buyers can negotiate prices and come to final agreement of the price. How do C Estates gain their revenue? The main revenue sources for C Estates are the following: Listing fee, transaction fee, property management fee and bid/ask spread. Does this mean the buying process is embedded in a smart contract? We will be using and utilizing smart assets not smart contracts. How do you secure the physical documents of properties? C Estates is partnered with an asset protection trust who takes custody of the titles, and any other necessary physical documents of a property before listing on the C Estates platform. How do I use xCET? The xCET is used to pay transaction fees in the C Estates platform. It is also used for listing fees, withdrawal fees, property management fees and monthly rentals. The buyer and the seller can agree to receive other type of payments either btc, ether, xem, usd or php. For the first phase of the C Estates Project, the platform will concentrate on listing properties from the property brokers so that the platform will have a high number of initial DPA Tokens. The second phase of the project will see the addition of properties listed by individual owners. The third phase will see the introduction of Mortgage-backed tokens. These are fixed income investments that will be loaned out to individuals looking for financing the acquisition of their home. C Estates Inc is currently building the future standards of Real Estate solutions through one of the world's significant and reliable blockchain network - NEM. Copyright © 2019 | C Estates Inc.